In our second post this week in support of Global Asbestos Awareness Week, we would like to join with the British Lung Foundation in helping to prevent anyone being exposed to asbestos, even one time. Remember--there is no safe level of exposure to asbestos! 2. Where and when was Asbestos used? 3. What does Asbestos look like? Asbestos in a home or other building can look as many different ways as there are products made from it. View a Gallery of Asbestos Photos from the British Lung Foundation. 4. What if I find Asbestos in my home? 5. Where can I get all the facts? It is important to ask yourself what you might be getting into when tackling a DIY project now that winter has past. 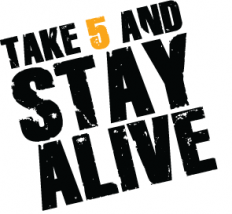 Take 5 and Stay Alive! 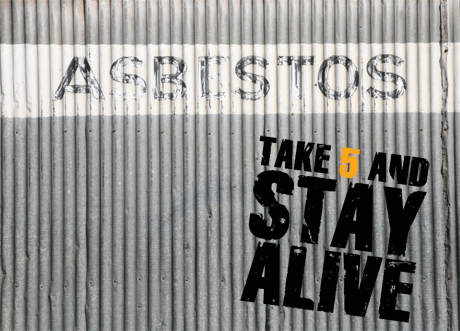 On Friday, we will tackle asbestos in the news or maybe even have a guest post! Stay tuned!